It’s no secret that one of the most important aspects of branding is your company logo. We live in a world where everything is associated with your brand and therefore, first and foremost, your logo. Often, we can tell what the product is or whom its associated with just by simply seeing the colours of the logo. Whenever we start a new company, start a new project or take on new clients, branding the logo is always the first thing we tackle. It’s almost like the roots of a tree from which, once planted, everything else starts to grow. It sets the precedence for everything that follows: colours, look, feel and more. 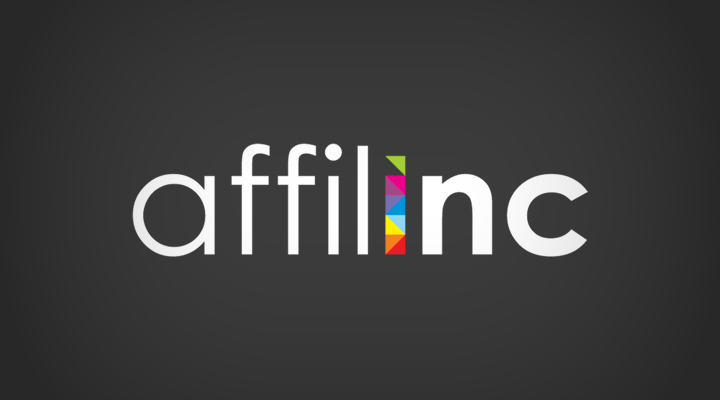 Having recently announced the start of my new company affilinc, alongside rebranding AffKit.com after our acquisition, I’ve been in the process of selecting new company logos over the past few weeks. This is a process I’ve repeated for my numerous projects over the years, and it’s something I really enjoy doing and getting right. Although we own a design and development company, this is one aspect of design I personally think should ALWAYS be outsourced, and let me tell you why. If you have a very specific design brief for your company logo, then by all means approach us or another design firm. However, if you’re exploring your options and want to get multiple concepts, then I’d really advise following the steps below. Let me introduce you to Hatchwise. Hatchwise is the number one logo design contest site online. 1. Tell us what you need: Fill out our simple design brief (it literally takes ten minutes), then decide how much you want to spend for your new design. 2. Receive dozens of designs: The community of designers will then create unique, custom designs just for you! Review the designs, request changes, and narrow it down to the one you love best! 3. Choose your favorite: Once you’ve found the perfect design, just pay the designer who created it and receive the completed artwork, as well as all rights to the design. It’s that simple! Some of you may have used or heard of 99designs and other alternatives, but in my experience using them all, Hatchwise is easier to use, cheaper and produces just as good – if not better – results. For as little as $189, you can receive hundreds of amazing designs and ideas for your logo and can then narrow it down with revisions until you’re 100% happy. Setting up a new job on Hatchwise is very simple, but let me walk you through it and give you some handy tips on how to get the most out of your project. Step One: Start A New Contest. Visit Hatchwise.com and click “Start a Contest”. From the new contest page, select “Logo Design” and “Start This Contest”. You should now be taken to a design contest page. At this point, I always go and do some research if I haven’t already done that beforehand. When you write your brief, it’s always best to give the designers some relative logos or ideas of what you like. Just by googling “2016 logo design inspiration”, you will find hundreds of articles to get inspired. Note down the URL of your favourites and save them for the brief. Be clear and as precise as possible. Use short, to the point bullets of information. Do some research and include examples. The value scales are most important. Get them right! Once you’ve filled out the full brief and are happy, give your contest a name. I just use: “Logo Design Contest for COMPANY NAME”. Register a new account and click “Create Account and Proceed”. You’ll now be taken to the payment steps. Navigate your way through the payment and confirm. Prepaying will result in far more designs, so always be sure to put that money upfront. Don’t worry if you don’t find a winner or logo you like. They will normally refund or relaunch the contest for you. Make the payment, and congratulations you’re now launched! Step Two: Contest Management and Feedback. Now that your contest is paid for and live, Hatchwise will be sending its designers your way. As expected, it may take several days for some concepts to arrive, and I’d always leave it a few days for the first 10 or so submissions to pile up. Check back into your account and navigate to “MY CONTESTS” then click on your active contest to view submissions (don’t worry you’ll also get an email every time someone enters a logo). Click one of the logos and a pop-up will appear. From this window, you can give the designer of that specific logo design your feedback or completely eliminate it from the contest. You’ll notice two sections, one for “Comments” and the other for “Ratings”. Proceed to navigate through all your entries and give feedback and directions on how they could improve the logo to fit your vision. Eliminate anything that isn’t a possible winner. Use the comment box underneath to message all designers. Do not select a winner until you’re 100% sure. Make requests to see different colours, icons, etc. Repeat the above day by day until you find the logo you’re 100% happy with. Step Three: Select a Winner. Once you’re 100% happy and ready to select a winner, simply click on the logo and select “Award as Winner”. This action then closes the contest to all new designs and selects the designer as the winner of the contest. Your money will then go into escrow and will be released to the designer upon receiving your final files. So for $189, you can receive hundreds of designs and concepts and ultimately walk away with your perfect company logo. What do you think of my latest one?